Welcome to the first UKFast tech round-up of 2019! Let’s get stuck in and find out what’s been happening in the world of tech this week. Hot off the press; the Information Commissioners Office is warning British businesses that they must prepare for potential data flow interruptions caused by a no-deal Brexit. The ICO’s director of strategic policy Jonathan Bamford, highlights the issue of EU cloud hosting as a particular risk to UK businesses. Many business owners do not realise that their cloud hosting providers are based in the EU and in the event of a no deal this could seriously put their data at risk. The top tech channels reported today that private tweets sent by the users of Twitter’s Android App could actually have been publicly available for years. It comes as Twitter said it discovered a security flaw in its systems. The faux-pas meant that anyone with private tweets, who updated the email address linked to their account between November 2014 and January 2019, could have had their messages exposed. Microsoft chief executive Satya Nadella today announced that Cortana is no longer directly competing with smart technology such as Alexa or Google Assistant. Instead, Nadella envisions Cortana as more of an assistant’s assistant, able to integrate with the competition and be used within Alexa or Google Assistant – just like you would use a Microsoft app on Android or iOS. In a world where we’re becoming increasingly conscious of how our food is actually produced, there may just be a tech project on the horizon that’s coming to tell us exactly what we want to know. OpenSC is a new project that hopes to use technology to track the movements of food through the supply chain. The venture will allow restaurant customers to identify whether or not their food has been produced legally and sustainably. The CEO of WWF Australia hopes it will create a whole new level of transparency in the food production industry. That’s all we’ve got time for this week! 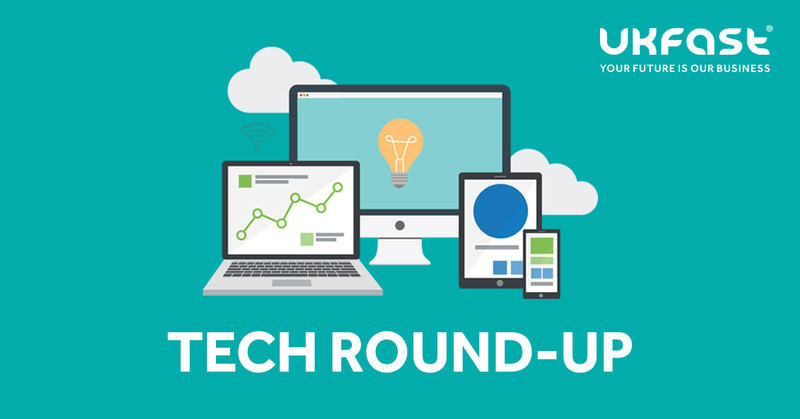 We hope you enjoyed the top tech tales of today and join us next time for your instalment of tech round-ups from UKFast. Head over to our press release archive to read the latest UKFast news.